2 Blue and White Plates - 1 with Boat scene, 1 with Nature scene. ONE (1) Lot of Miniature Stoneware Storage Containers. Miniature Dollhouse Collectibles. LC-SB-2888 (1/OZ-2x2x2) ML. Salesbaron is in Los Angeles, 90039. Hawaii and. Applicable for: 1:12 dollhouse. 1 x Mini spoon. 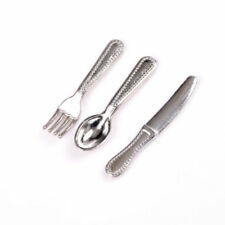 1 x Mini fork. 1 x Mini knife. Keep it dry and cool, avoid sunning. Feature: 1. Transparent Plastic Material, Lightweight And Easy To Carry, Suibtable And Safe For Kids. 2. 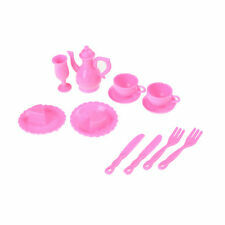 Eat Play DIY Mini Cup Set With Different Size And Pattern, Fit All You Needs. 3. Food Parties Develop Crucial Social Skills Like Serving Others, Taking Turns, And Sharing. Improve The Child's Practical Ability And Creativity. Specification: Type: Eat Play DIY Mini Cup Material: Plastic Diameter of Cup:1.5-3cm Color: Transparent Package Listing: 17* Eat Play DIY Mini Cup Only. Material : Ceramic. - If you are not satisfied with it. We will reply within 24 hours. Material : Ceramic. Quantity : 10 p.
Applicable for: 1:12 dollhouse. Keep it dry and cool, avoid sunning. Material: glass. This dollhouse miniature ceramic tray set is of a good quality, and the design is very nice. 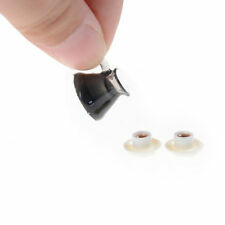 10pcs Miniature White Resin Tray Set. Material: Resin. Material : Ceramic. Quantity : 30 p. Expensive to follow it. 10 Coffee. Material : Ceramic. Quantity : 10 p. Expensive to follow it. Material : Ceramic. Quantity : 10 p. Expensive to follow it. Expensive to follow it. Color : As pictures. Materials : Ceram ic. Applicable for: 1/12 Miniature Dollhouse. - Material: Porcelain. Milk Container Height: 1.3cm. 1 x Milk Container. - For decorative use only, not a toy. - Care Instruction: Keep it dry and cool, avoid sunning. 10 Red Heart Printed Coffee,Tea Cup Miniatures Dollhouse Ceramic On Tableware. 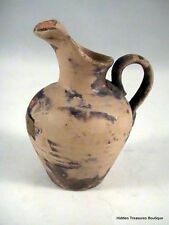 Material : Ceramic. 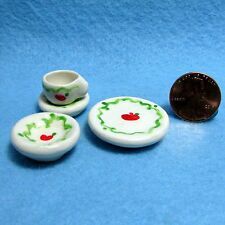 Quantity : 10 p.
Lot 15pcs Dollhouse Miniature Porcelain Coffee Tea pot Cup Saucer Dish set Kitchen Dinning ware Decor 1: 12. 1 x Mini Teapot with cover lid. Applicable for: 1:12 dollhouse. 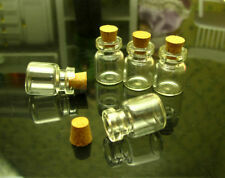 1 x Mini Sugar jar with cover lid. Keep it dry and cool, avoid sunning. Material : Ceramic. Expensive to follow it. Quantity : 5 p. Size : Width 1. Height : 1.30 cm. The porcelain tea set is a new type of miniature tea tools. Its design is in line with the trend of reality ceramic tea set. It is the best choice for decoration of Dollhouse. Don't miss it! - Applicable for: 1/12 Miniature Dollhouse. Material : Ceramic. Expensive to follow it. Size : 2.00 C. M.
Material : Ceramic. Expensive to follow it. Material : Ceramic. Quantity : 1 Set 8 p. Expensive to follow it. Quantity : 20 p. Cup 10 p, Saucer 10 p. Material : Ceramic. Expensive to follow it. 3 Piece Set Coffee Pot Cup and Saucer Dollhouse Miniature. Size:coffee pot 16 14mm;coffee cup 11 6mm. Note:Light shooting and different displays may cause the color of the item in the picture a little different from the real thing. Materials : Clay Color : As pictures. 3Pcs New Coffee Pot Kettle Cup Set 1/12 Dollhouse Miniature Coffee Set Lot Bcs! 3 Piece Set Coffee Pot Cup and Saucer Dollhouse Miniature. Size:coffee pot 16 14mm;coffee cup 11 6mm. 2 x coffee cup and saucer. Color: White Ladybug Print Gold Trim. 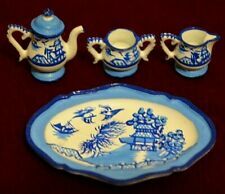 The porcelain tea set is a new type of miniature tea tools. Its design is in line with the trend of reality ceramic tea set. It is the best choice for decoration of Dollhouse. Material : Ceramic. Quantity : 1 Set 6 p. Expensive to follow it. Fit for dollhouse decoration. Pot Height: Approx. Cup Height: Approx. Note: For decorative use only, not a toy! Chocking Hazard - Small Parts! Not for children under 3 years! Material: Plastic. Color: White. Material : Ceramic. Quantity : 10 p. Size : Width 2.50 cm. / Length 3.50 cm. Expensive to follow it.